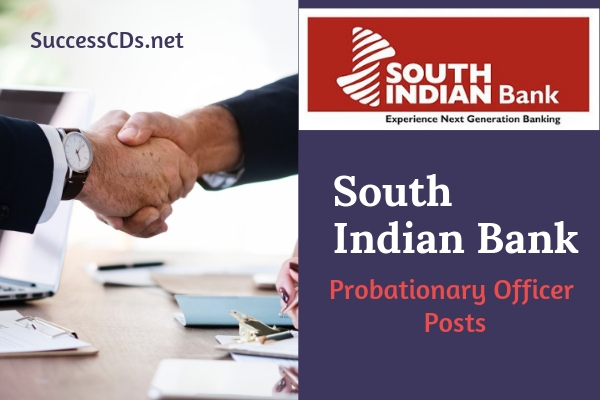 South Indian Bank PO Recruitment 2018 - South Indian Bank (SIB) Kerala, has issued a notification for the recruitment of Probationary Officers. Interested candidates may apply ONLINE through Bank’s website www.southindianbank.com. by 16th December 2018. No other means/modes of applications will be accepted. South Indian Bank invites young vibrant candidates who fulfill the eligibility criteria specified and who are interested in Banking career with one of India’s premier commercial Banks to apply for admissions to the one year Post Graduate Diploma in Banking and Finance programme in Manipal Global Education Services Pvt. Ltd. (MaGE), Bangalore. offered appointment in the bank as Probationary Officer in Scale-I. After submitting your payment information in the online application form, PLEASE WAIT FOR THE INTIMATION FROM THE SERVER. DO NOT PRESS BACK OR REFRESH BUTTON IN ORDER TO AVOID DOUBLE CHARGE.